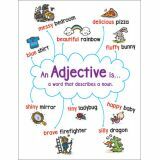 Support classroom learning with this cute series of anchor charts on 6 essential language arts topics. 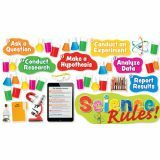 Features a reproducible version on the reverse so each student can have one for reference. A handy time-saver for busy teachers! Create a warm welcome for students and visitors! 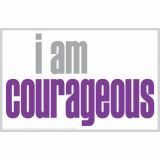 Each kit includes a 45" banner with foil, paper cut-outs, and decorative pieces. 30+ pieces per set. 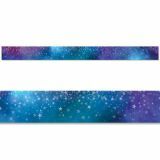 This vibrant Mystical Stars Border invokes a feeling of space or of a dreamy place far away! 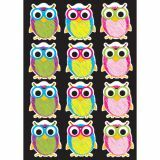 It is perfect for bulletin boards with themes such as the planets, stars, astronomy, space, spaceships, aliens, earth, the sun, Star Wars®, and mystical creatures (fairies, unicorns, and dragons). 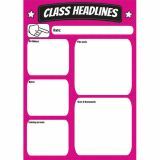 Create a unique "star of the week" student crown by using a strip of this border and attaching a star shaped cut-out. This celestial-looking border can also be a nice complement to religious or faith-based bulletin boards and displays. 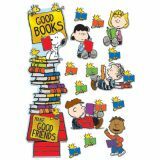 Great for any setting, including at a school, daycare, office, church, college dorm, employee break room, or senior living residence. Styled like comic book pages, this colorful set acquaints students with eight biomes, highlighting features of each including plants, animals, temperature, and precipitation. Each 11" x 17" poster also includes unusual nature photography, as well as fascinating facts about plant adaptations and animal survival strategies. 8 pieces. When the rain clears and the sun shines, out comes a rainbow! 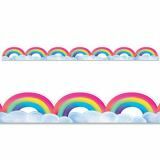 This delightful Rainbows and Clouds Border is a colorful way to trim any bulletin board or school display. 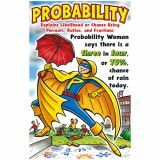 It is great for use on bulletin boards related to weather, art, springtime, and St. Patrick's Day. 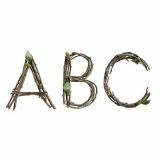 Bring the outdoors in with these Rustic Twigs 6" Designer Letters. The design's photographic imagery of real twigs and leaves gives these letters a natural appearance. 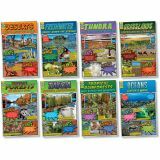 They are great for creating bulletin boards about science, nature, trees, and camping. The natural look of these punch-out letters makes them ideal for classrooms using the Reggio-Emilia approach in which the environment is the first teacher. 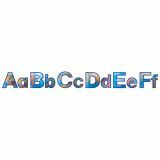 This package features 106 pieces uppercase letters.